It is amazing how many problems faulty heating and cooling equipment can make especially if it makes a lot of different kinds of noises! Also amazing how many words people can use to describe them. Back peddling, banging, booming, buzzing noise, chattering, chirping, clacking, clanging, clicking, droning, explosion, grating, grinding, groaning, grumbling sound, gurgling, hammering, high pitched, high pitched whine, high pitched whistle, hissing, howling, humming, knocking, metal hitting metal, moaning noise, out of balance washing machine, plane engine, popping, pulsating, random, ratcheting, rattling, roaring, rumbling, scraping, screech, screeching, siren, sputtering, squeaky, squealing, switching, swoosh, thumping, ticking, tinny, train like, vibration, weird, whining, whirring, whooshing, wobbling, woof noises or sounds. 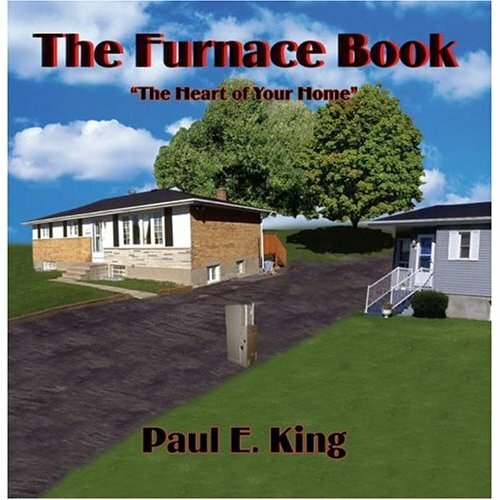 Furnace is making a loud noise, awful furnace motor noise, furnace noise reduction, gas furnace noise like a slamming door that vibrates, heat pump making funny noise, when I turn on furnace sound strange, our boiler makes noises through the whole house and so on! If you one of them, please carefully read through all lists of noises and try to find one that describes yours. At the top of the module, you can see a short list of noises. If you click on any word from the list, which in your opinion better describes your type of noise, the page is going to jump down and you can read the question and the answer to that question or feedback written by a person who asked that question in the first place. If you cannot find the type of noise, you are looking for or if there are several questions with the same type of noise just scroll down to the next module or go to the next page. If you have a "Scroll" type compressor, it can make a loud "back peddling" type of noise on shutdown and on start-up sometimes sound like an "out of balance washing machine". If you are hear a buzzing noise from the outdoor unit when it's not even running. This is usually the reversing valve solenoid coil. It's low voltage (24 volts) so it isn't really wasting energy and sometimes they can be heard. If you are hearing a very loud "metal hitting metal type sound", the fan blade could be hitting something: possibly ice, or a wire, or tubing. Take a look and shut the unit off immediately. This almost always ruins the fan blades and possibly the motor as well. If a piece of copper tubing shifted and is being hit by the blades, they could put a hole in it causing the Freon to leak out. If you have an A/C unit that is grinding on startup, then the refrigerant lines that rise to a vertical height of more than what is stated in the installation manual will cause this. 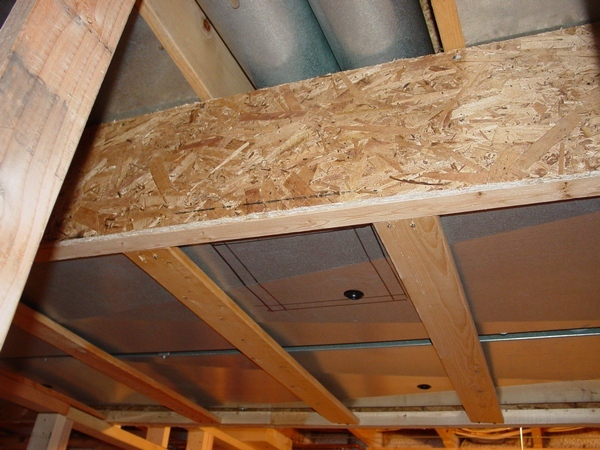 Compressor on ground and air handler in attic of two story house can exceed the limit. Will sound like gravel churning for a few seconds. They sell a kit I think to solve this. This may also be a simple rain shield on the fan motor. Refrigerant migration could be a factor also. Evaporator up, condenser down: If the refrigerant metering device is other than a TXV it may flood the compressor as it allows the liquid refrigerant to pass through the metering device rapidly until equalized. Creating a "Pump down" or just a "shut down" configuration by installing a solenoid valve in the liquid line will correct this. However, a hard start kit may be needed if the compressor doesn't have a start capacitor as the compressor must start against the head pressure of the refrigerant caused by the elevated AHU. Excessive refrigerant charge (due to system design) - the amount of refrigerant in a system must be kept to a minimum. Arbitrarily installing over sized lines may cause this. These flooding conditions are more prone in over sized refrigerant circuits. No crankcase heater in a scroll compressor or reciprocal compressor where slugging is occurring. Manufacturer thinks the scroll is tuff and doesn't need an accumulator, start capacitor or crank heater. Refrigerant has infinity for oil and during shut down it will migrate to the crankcase of the compressor. At start up the refrigerant (and the oil) are sucked up through the compressor. It makes a noise! If you have a 5 years old Goodman condenser unit and you noticed an intermittent buzzing noise coming from its fuse panel. When it first turns on for heating and thereafter at an interval of every 60 seconds it makes an electrical buzzing noise at the condenser unit and this causes a similar noise at its fuse panel. Then it could be your compressor trying to start but not being able to do so. It shouldn’t happen that often but in cold temp the overload protector may cycle that quickly. So your compressor should be replaced. If there is the vibration noise, then in order to eliminate it sometimes it is just a matter of installing rubber isolation pads under the unit. 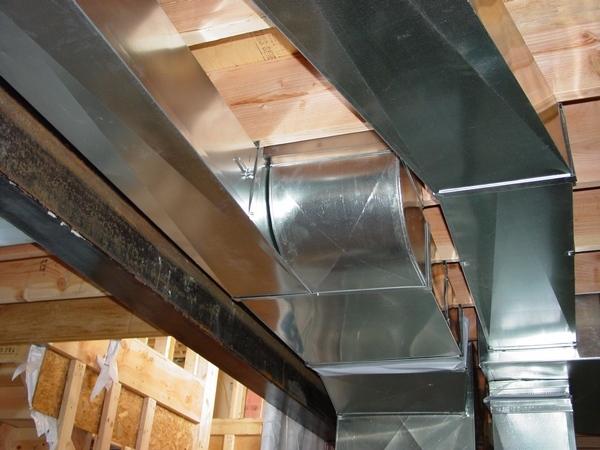 Sometimes the refrigerant piping is strapped too tightly to the joists or it is in the unit itself and cannot be eliminated. If your heat pump has started to make a clicking noise when it is turned off. The clicking is about one second apart and is continuous. Then the problem could be the "Safe-T switch" which monitors the drainage reservoir to the outside. You can bypass the switch, and the heat pump should turn on by itself. Replace the switch. after the unit was on for a short time. If you flip the breaker back on, the outside unit comes on, and makes the loud noise at start up, but then after a short time, the breaker shuts off, and everything quits again. Then this sounds like the compressor unit or even the fan motor is going bad, but nonetheless call a heating service man and has it checked. The breaker is tripping because something is overloading or it has a short or something in the unit itself. If your Carrier system in the heat mode makes a periodic clicking noise that appears to be coming from a solenoid in the outside unit. It will click every half second or so for about ten minutes and will stop when the thermostat shuts off the compressor. It doesn’t click all the time and for the most part, it seems to happen rarely. Then what you are hearing is the reversing valve trying to go into defrost mode. It could be the defrost board, the reversing valve, loose wiring from the thermostat to the heat pump, bad or weakly energized solenoid coil, or a combo of above. Also it could be a defrost sensor going to the bad sending mixed signals to the defrost board, the thermostat, air handler control board. The defrost board is most likely the culprit. It has two relays on it that tells the heat pump, along with the other electronics, what to do among them is to tell the heat pump to go into defrost mode. The sensor on the heat pump coil or a timer built electronically on the board sends a signal to the blower on the heat pump to cut off and to reverse the valve basically putting it into A/C mode, also it tells the air handler to turn on the aux/emergency heat strips so you won't lose your comfort level in the home. After everybody is satisfied (timer or sensor) it goes back into normal heat mode, reverse valve, blower comes back on, heat strips cut-off, everything back to normal. By the way, at times when it is in defrost mode, you may see something that looks like smoke rising out of the top of the heat pump while it sits there and hums, this is normal. What’s happening is the heat from the compressor and coils create steam. If you have a new Lennox two speed heat pump installed and it makes loud rumbling noise after on for 5 min and a loud tone is heard which I located at furnace plenum, then the most common noise problems on new heat pumps are overcharged. The installers may not have adjusted the refrigerant correctly and if there is too much you will definitely get a noise. This noise could be a pulsation or high pressure sound. If your 8 years old outside unit started to make a loud squealing noise, then it's more than likely the outdoor fan motor failing. In the winter heat pumps that have reversing valves that reverse the flow of refrigerant between the heating and cooling modes and whenever the heat pump goes into the defrost mode, this valve shifts. Along with that is a "whooshing sound" which usually lasts for a couple of seconds. After that, the compressor sometimes sounds much louder than usual, almost a "tinny sound". After shutdown the Freon pressures equalize, during this period sometimes sounds are heard but this is normal. If you have a Carrier heat pump mounted in the attic and whenever Aux mode kicks in, you can hear a high-pitched whine, kind of like a muted dentist drill. When it exits Aux mode, you hear a whooshing noise, like from a pressure relief valve. After that everything sounds normal. The whine appears to be coming from the condenser outside and the whooshing noise coming from the attic. Then the whooshing is when the four-way valve opens and lets the Freon turn around in the pipe from heat to cool. You could be a little low on Freon. The whine outside is the condenser fan. If your Carrier heat pump unit is making a clacking noise outside and a whistle inside and it's also making a very slight whistling/whining noise at the inside unit that is continuous whenever the unit is on. The clacking noise is intermittent and appears to be the worst when the unit is shutting off or even after it is off it will clack for a minute or so. Then when you have a heat pump that means that the whistling noise is coming from the reversing valve and the clacking noise is the reversing valve relay, unless you got a check valve that may be going bad. Anyways, if everything is working well, then leave it the way it is. What you want to do is cut the power off and start tightening all the electrical connections. If you see any of the connector's insulation kind a burned out, then is time to replace that connector. Check the contactor as well; make a visual inspection to see if your contacts are not worn out. Check all connections coming from the t-stat wire to the unit. If you see any wire nuts, then remove the wire nuts and peel new wire and put a new wire nut on it. If is making false contact that means that is turning on and off the reversing valve continuously, and that could be the problem too. Then put the cover on again and put the power back on. If that didn't do it, may be your reversing valve may be going bad. If you have an Amana 3 ton, 16 seer communicating heat pump has performing good but it's too loud. Jack hammer sound, whooshing sound along with moose call that last 30 to 45 sec. Then to your knowledge recently Amana has come up with a "quiet defrost" feature. Contact your dealer or Amana customer service and see if this feature can be added to your unit. It shuts down the compressor for a short time and lets the Freon equalize to eliminate the "whoosh" sound at defrost. It’s possible that the "clattering" sound is also part of the reversing valve/defrost noise. Also make sure your installer has the defrost interval set properly. You can use the 90 minute setting. Otherwise the outside unit is going to check for defrost too often. If your Trane duel-fuel heat pump’s fan is making a knocking noise and not spinning, then you may be hearing the defrost on the heat pump kick in. A heat pump uses the outdoor air to produce heat for inside so when it gets close to freezing or below the copper starts to frost because of the extreme heat difference in the air and what is in the lines so it goes into what is called a defrost cycle. There is a small sensor in the unit that senses the frost starting to build up so it shuts down the fan and the compressor. 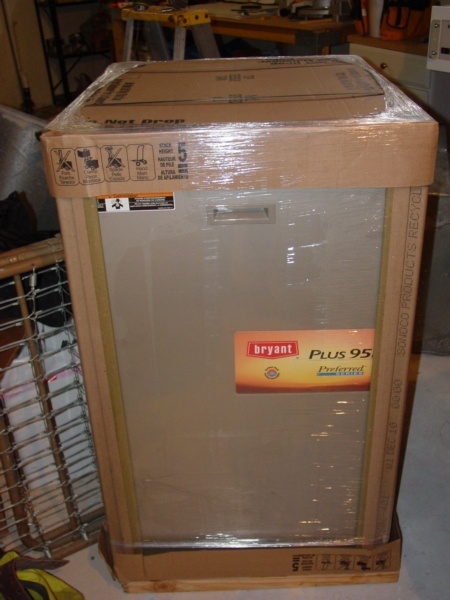 The heat pump goes into a defrost cycle it sounds like a fridge humming x1000. This heat the lines to thaw them and when the sensor feels it is good it turn the fan back on and the unit continues heating. When the fan starts back up steam will sometimes roll out of the unit and it makes a gushing sound like a train starting up to roll down the tracks. Now you have duel fuel so there should be an outdoor sensor that is set to around 40 degrees or so that tells the thermostat to shut off the heat pump heat and turn on the gas furnace heat while it is this cold outside. If you have a Philco split system heat pump that was manufactured in 2000, making a strange whooshing noise from the outside unit. It's not extremely loud or high pitched, more like the sound of an air brake releasing. It only lasts a few seconds then repeats a minute or two later. After that, it may not repeat for a few hours. Then that you are hearing is the unit is going into defrost. When a heat pump is in the heating mode it actually cools the outside air. To do this the outside coil gets colder than outside temp causing the moisture in the outside air to freeze on the coil. when the coil temp drops low enough it has to defrost the ice build up so it switches to the cooling mode (outside coil gets warm) to melt the ice. The outside fan also stops (to help speed the process up) and the Aux heat comes on (to compensate for the cooling). If the outside condenser unit for your heat pump is making a loud buzzing noise and the fan was not running. The Freon supply and return lines are both warm. I went into the house and turned off the heat at the thermostat. The air handler keep running, blowing semi warm air, and the condenser start steaming. That means that your heat pump will defrost in heating mode and when it happens the outdoor fan will cut off, the Freon will reverse which can make an odd sound, and steam/water will come from the unit. If there is something wrong with the unit the fan will never come back on. Turn it back on and give it a few min. and see what happens. Also the indoor fan was running because the t-stat was still calling for heat and this is what controls the units. So by turning off the outdoor unit would not have turned the indoor unit off. Your unit is in normal operation. If you have a 30 yr old General Electric unit is with 10 yr old rebuilt compressor. Inside is a Carrier furnace with evaporator coil that is making a hammering noise. The best description of the noise is that it sounds similar to water hammer noise in plumbing. Hammering lasts 5 to 20 seconds after compressor shut off. Then it is possible that the condenser coil is dirty or there is a problem with the fan. To get some idea if this is so you could feel the smaller of the two lines going to the indoor coil. The smaller line should be in a range of about 100* F. This would feel like the surrounding temp. If hotter you may have a problem. If your outside coil is dirty spray it with a degreaser, and then gently power wash the coils. If you have Carrier heat pump that is making a droning noise that goes thru the house every once in a while, and it gets worse the colder it gets. Then it maybe the line set is clamped to the joists, which is why you are getting a vibration noise. 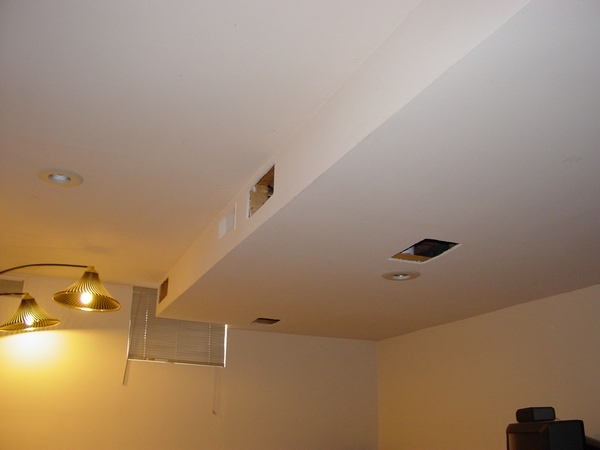 Then in order to eliminate such a noise the vibration absorbers should be installed. In addition to installing the vibration absorbers you may also ran a metal rod down into the ground and then tied the Freon lines to the rod to help divert vibration away from the house and down into the soil. If the liquid line in a heat pump system is gurgling near the interior coil when the heat pump is in defrost or cooling mode? The noise is audible from 3' away when the heat pump is cooling in marginal air conditioning weather. When the heat pump is defrosting in 25 degree weather, the noise is loud enough to be audible in adjoining rooms, through 8' of distance and a sheetrock wall. Then it’s possible that liquid is flashing, which would indicate low on charge, also could be non-condensable in the system. Gurgling sounds at TEV: Low evaporator heat-loads lead to reduced liquid line mass and increased evaporator mass could be due to airflow problems. Eliminate low evaporator heat-loads before looking into adjusting the refrigerant charge. Gurgling - pulsation noises in Liquid Line at the expansion device can be caused by low evaporator circuit heat-loads, low charge, and/or non-condensables and moisture in the system. Unbalanced airflow through the various distributor circuits of the evaporator coil will cause the TEV to close down refrigerant flow starving the coil. Piston-flow-rators will make it impossible to properly charge the system and cooling will be greatly compromised unless you eliminate the cause! On every Rheem condenser cover it lists "non-condensables and or moisture" as causes for a gurgling or pulsating noise at the expansion device. The entire evaporator circuits, may not become active for various reasons, - the entire coil must become fully active for efficient performance. If you have a Bryant compressor that is regularly tripping the house panel breaker and then after the breaker is reset, it will run, but periodically make a loud screeching noise. Then it sounds like the motor. If the fan is spinning slower then normal the condenser will be hot to the touch. If you’re touching it where the motor mounts, it will be hot. From the online brochures, it looks like the XL20i may be the noisier of the three (but still referred to as being quiet), with the Carrier and Lennox being about the same. But maybe in real life there isn't much difference? I'm looking most likely at a 3-ton system. The Trane XL20i is almost twice as loud and the Infinity 21 right in the middle. All three units are virtually silent from 15ft and you can easily carry on a conversation next to any of them without raising your voice.